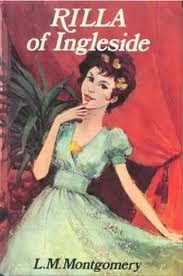 I have been determinedly making my reading-way through the Anne of Green Gables series and finally finished the last book, Rilla of Ingleside. Overall I enjoyed most of the books of the series, yet had to get past the realization that after about half way through, the books are no longer about Anne; they follow her children, and eventually the pastor’s children, the Merediths, enter the mix. Rilla is Anne’s youngest; gay, immature and irresponsible, until the darkness of the First World War shatters their lives and she must struggle to find herself among circumstances that are difficult, painful and, at times, unmerciful. This book offered a truly fascinating look in at a village and families affected by WWI and how they dealt with the stress and tragedy of being at war. Honestly it was my favourite of the series, even over Anne of Green Gables. Unlike some of the other books, the characters were well-developed, the subject matter relevant, the plot riveting and poignant ……… overall an excellent book!